A man convicted of murder in Bangladesh is teaching at a secondary school in east London after checks into his criminal history failed, it has been revealed today. Mohammad Siddiqur Rahman Chowdhury, an Islamic Studies teacher in Bethnal Green, is being investigated by the Home Office after it was revealed he was found guilty of murder in absentia in his native Bangladesh. The teacher had undergone a Criminal Record Bureau check (CRB) but the conviction was not unearthed as the crime had happened overseas. Chowdhury has denied the murder, claiming he was framed, and that it was actually committed by his brother who is now dead. The case has highlighted a problem with CRB checks which can lead to crimes committed overseas going undetected. 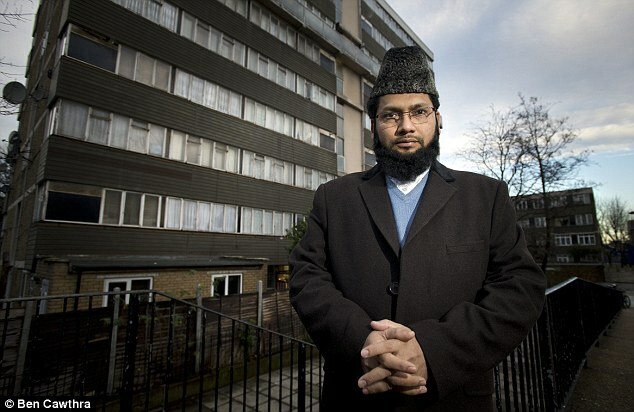 Chowdhury, 38, has been employed as a teacher at the Darul Hadis Latifiah School in east London since 2001. But he was wanted for the 1997 murder of Hazi Akbor Ali, The Sunday Times reports, in what was allegedly a family dispute. Although six people were charged, including his brother Seraj and father, they were acquitted and only Chowdhury was convicted in the 2005 trial. The father of two – who was made a UK citizen after marrying a British woman in 2001 – was sentenced to life in prison in absentia. He has since claimed his brother killed Ali in self defence. CRB checks are carried out on behalf of employers by the local police force, but it is down to the employers to make the overseas checks on a person who has lived abroad by making contact with foreign embassies. The Home Office has said it is investigating. It is believed the Home Office was tipped off by a member of the Bangladeshi community, who had court documents on the case. Chowdhury has insisted he was not in the Bangladeshi village where the murder is alleged to have happened at the time, and says he was never questioned by the authorities despite remaining in the area for several years after. Chowdhury is said to be eager to appeal his conviction but he has not yet done so. He has not returned to Bangladesh since coming to Britain. When the Mail Online contacted the school we were told the teacher, who is also the imam at the Asian Muslim Cultural Association in Shadwell, was not at the school but was expected to return tomorrow.